While the United States has long had anti-satellite (ASAT) capability in its missile defense systems, the Obama’ administration’s Phased Adaptive Approach (PAA) system as planned would mean ASAT capability on a much different scale. I detail this in a piece for the Federation of American Scientists’ Winter 2011 Public Interest Report. 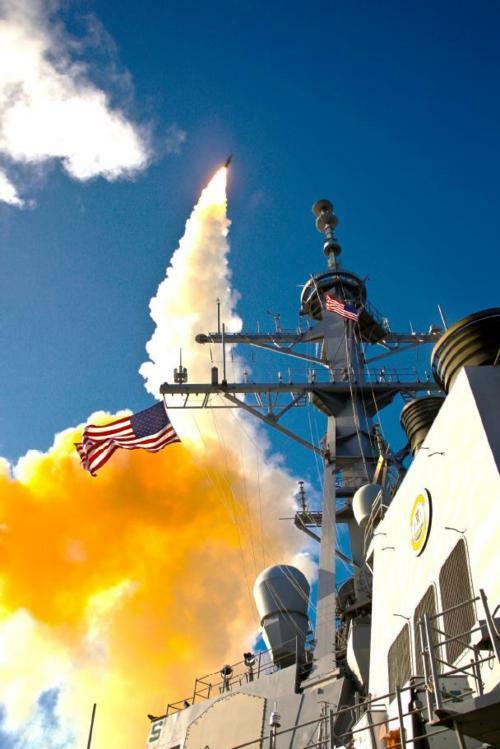 The capability of Aegis-based missile defense system to target and destroy an orbiting satellite was demonstrated in 2009’s Operation Burnt Frost. The current Aegis interceptors SM-3 Block IA/IB can reach only the relatively few satellites in orbits with perigees at or below 600 km altitude. Table 1. Maximum altitude reachable by SM-3 variants. However, the latter phases of the PAA envision more capable Block II interceptors. Even using a conservative estimate of the burnout speed (4.5 km/s), SM-3 Block IIA interceptors would be able to reach the vast majority of satellites in low Earth orbit (LEO) (see Figure 1). Interceptors with burnout speeds at the high range of estimates for the SM-3 IIA (5.5 km/s) would be able to reach any satellite in LEO, as would the ground-based midcourse interceptors in Alaska and California. 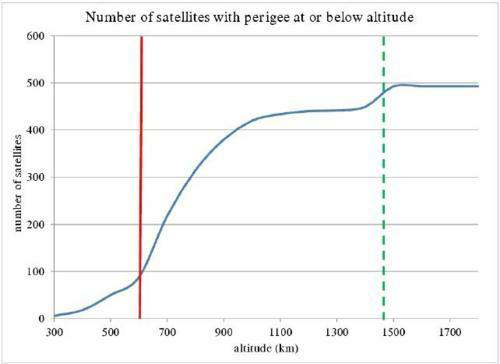 Figure 1.The solid blue curve shows the number of satellites with perigee at or below a given altitude. The solid red line at 600 km is the reach of the SM-3 Block IA interceptors. The dashed green line at 1450 km is a lower bound estimate of the reach of the SM-3 Block IIA interceptors; it can reach nearly all LEO satellites. The potential size of the capability is new. While the projected inventory of Block II SM-3 interceptors is relatively modest—there are 29 Block IIA interceptors and an undefined number of SM-3 IIB interceptors planned for 2020—Aegis warships are capable of carrying large numbers of interceptors since cruisers have 122 launch tubes and destroyers have 90 or 96 each. This would support a large scaling up. Block II interceptors are designed to fit in all launch tubes. While the primary purpose of the PAA system is not ASAT, as conceived it will be the largest destructive ASAT capability ever fielded and can hold a significant portion of any other space actor’s space assets at risk. Table 2: Number of actively operating Russian and Chinese satellites in low earth orbits, categorized by primary users. While some may describe this ASAT capability as “latent,” it has been clearly demonstrated in Operation Burnt Frost. At the same time, international law treating the interference or destruction of satellites is only very weakly elaborated. Few limits or guidelines exist on technologies suited to ASAT use, and devising effective limits on them becomes increasingly difficult as more weapons are developed and tested and more countries develop policy rationales and military doctrine for using them. Serious efforts to strengthen these limits should be put forth by all spacefaring nations; such discussions have not taken place for many years. In addition to strengthening the legal and normative framework, space security requires thoughtful limits on the most dangerous technology. One way to address the inherent ASAT capability of the PAA is to restrict the burnout velocity of the deployed SM-3 missiles and to discontinue the Block II program. While the study cites other capability-enhancing or cost-reducing scenarios that the longer-range interceptors could provide, the authors cede that successful operation of midcourse missile defense requires addressing the as-yet-unsolved countermeasures problem. And the Block II missiles do not do so. The SM-3 Block II missiles could also have a theoretical capability to intercept Russian and Chinese long-range missiles; this can complicate Russian and Chinese reductions in nuclear weapons. The SM-3 Block II missiles will not solve the countermeasures problem via early intercept, so limiting the allowed burnout speed of the SM-3 missiles would therefore not sacrifice that important capability. Limiting the burnout speed would also mitigate the problems that deploying an unlikely-to-be used but still provocative ASAT system would raise.